Does your dog pull on a lead? Jump up at people? Not come back when called? Or have you always wanted to teach your dog some fun tricks but never found the time? Board and Train is perfect for those busy at work or who simply just don’t know where to begin. 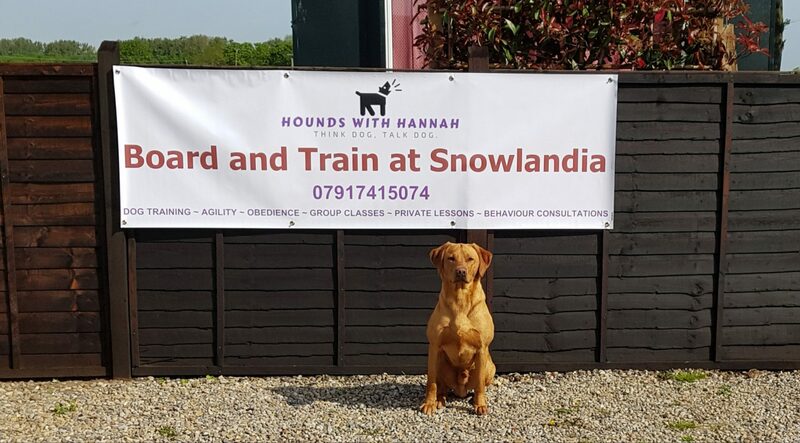 Your dog will board with Snowlandia boarding kennels, and will greatly benefit from a new routine and environment. I will train the dog for you in the areas required. On collection or shortly after depending on availability I will then go through everything I have done with the dog and help you to be able to carry on the training yourselves at home. Board and Train has been been running since January 2018 and has been hugely successful and far more popular than I could of ever imagined. I believe I have really made a difference to the lives of the owners and the dogs that I have trained.